I'll admit, when I got the email offering to host a Yoplait Inner Goddess giveaway, my first thought was "more yogurt? really?" Now I like yogurt, but how many yogurt giveaways are there every single month? Maybe you guys don't read many blogs that have them, but I've hosted a few myself and they're all over in the mommy blogger world. But my mom loves Greek yogurt and I've only had it once or twice myself, so I figured if I was going to form a real opinion of this style of yogurt, I might as well go with a quality brand like Yoplait, right? And when the box arrived, I'd forgotten all about the rest of the "Nourish Your Inner Goddess" part of the campaign! Slippers, a soft comfy wrap-around robe, and a full bath kit....it was such a nice treat. 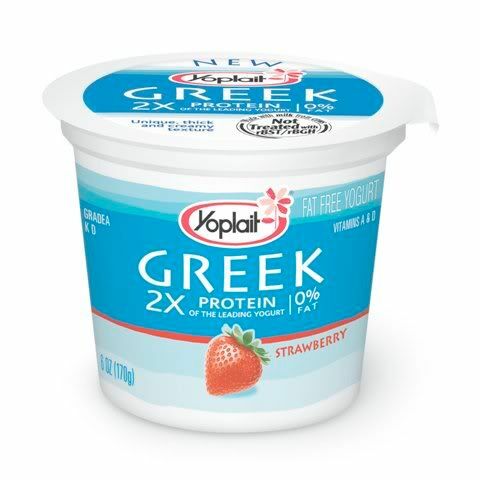 -- Tell me what flavor(s) of Yoplait Greek yogurt you would try first. Contest ends midnight EST May 3rd. Sponsored by MyBlogSparkTM and Yoplait Greek yogurt who provided both my gift pack and that to be given to a winner of this giveaway. *This coupon offer for a free cup of Yoplait Greek yogurt is not valid in some states, including California, Idaho, Louisiana, Minnesota, Nevada, New Jersey, North Dakota, and Tennessee. Bummer. I'm guessing this is US only, as postage to UK would be excessive! It's a fact of life, though. Until international postage goes down in price we're stuck with it. Strawberry or blueberry first. (Not a fan of plain yogurt unless I have granola or banana's in it. left a comment on the oatmeal post. Strawberry would be my pick of flavors! I left a comment on the 6 word memoir. I subscribed to Quirky Jessi via RSS. I subscribed to Quirky Cookery via RSS. I commented on the Western Spaghetti video by PES on Quirky Cookery. I would love to try a Greek style yogurt. I'm not a fan of the 'tangy' style of yogurt. I hear this type is smooth, creamy and much better tasting! Mmmm, I'd go with the strawberry, or maybe the blueberry!